According to a recent episode of Now You See It, breaking the fourth wall can be defined as “a dramatic technique in a work of fiction where characters display an awareness that they are in such a work.” It’s a technique that goes back to ancient Greek theatre when the actors would pierce the only unwalled space, the open area between the stage and the audience. Fourth-wall breaking changes in film, as the dramatic experience is no longer live, but becomes hermetically sealed. The introduction of sound in movies would again change the effect, by greatly amplifying how the effect could be used. Now You See It’s overview of breaking the fourth wall hones in on comedy, the genre where it has been chiefly used. 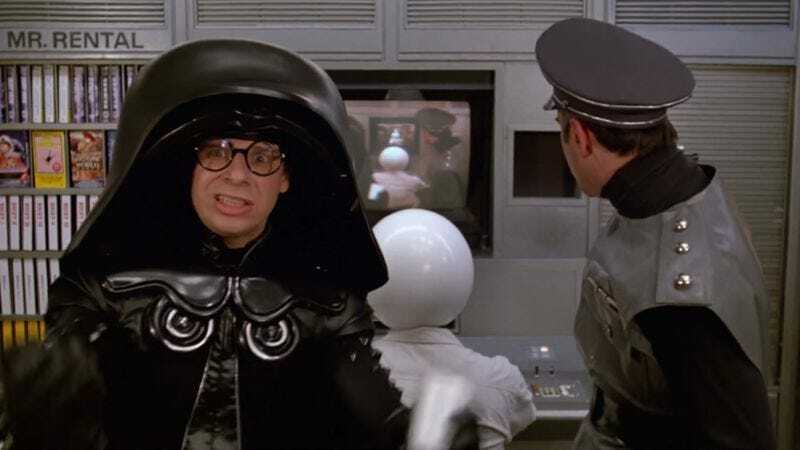 Mel Brooks is the undisputed king of breaking the fourth wall, as he has not only created some of the best fourth-wall gags in film history, but they are often made as a pointed social commentary on the artifice of cinema. In movies like the Crosby-Hope Road pictures or Ferris Bueller’s Day Off, a fourth wall break can create a conspiratorial bond with the audience, pulling viewers into the picture. And with dramatic projects like House Of Cards, we see that the effect isn’t limited to comedy. Horror films will make also break the fourth wall to jar the audience, which is almost an inversion of the given definition; in these examples, the character is being depicted as so potent that his influence can actually extend beyond the parameters of the medium and even fiction itself. If the old adage “it’s just a movie” is a security blanket used to shield viewers from fear, this type of breaking can be used by filmmakers to chip away at that protection and create heightened dread. Breaking the fourth wall is often dismissed as a cheap gag, and it can be a distraction when poorly wielded. When used well, it becomes a very specific, effective tool for drawing the viewer up into a whimsical space between the performance and the audience.